"NOT YOUR BUNNY" solo exhibition. "Not Your Bunny” - Often we are too quick to judge what we see. It's been normalized to make assumptions and generalize when meeting new individuals. Unfortunately, we often err in these judgments and are often not what they seem. My Chinese sign is a bunny and with that moniker, as a small and unassuming woman, often seen as timid or weak. This could not be further from the truth and in my experience the world is full of "bunnies" - just like me. This series disseminates the revolt against this perception and embraces the spirit of “anti”. Looking forward to showing this theme artwork with you!! Mark your calendar for the show. The reception is April 5th, between 5-8 pm. 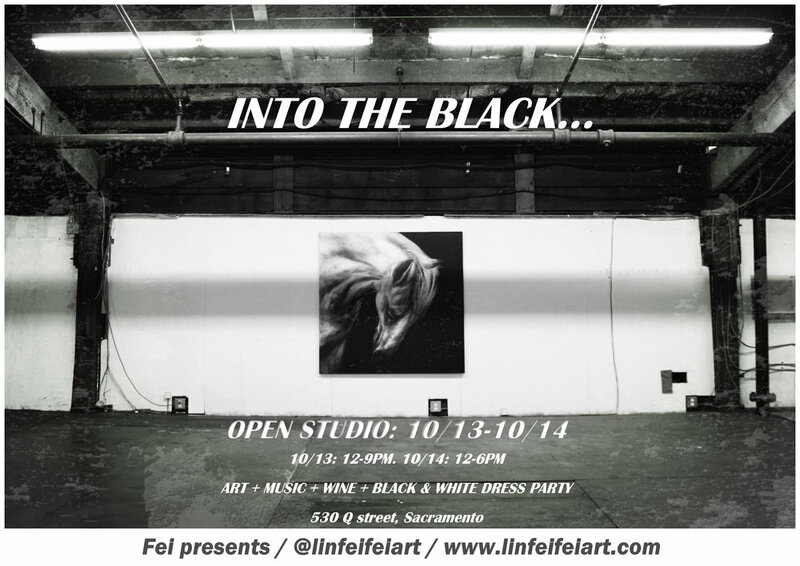 I’m going to be hosting my first open studio at my warehouse studio space in Sacramento. This show will include murals, installations, paintings, drawings, and prints, including the release of brand-new prints of my Holy Diver mural from this summer’s Wide Open Walls mural festival. Black and White are the main colors used in much of my new work and represent both the aggression and submission seen in my art. As this show will be during the lead up to Halloween, we are encouraging anyone who wants to stop by to wear Black or White to get creative and show off your Halloween sprit! Mark your candler and stop by for some drinks, music, and art! All art and prints will be available for purchase and donations will be gratefully accepted. Please feel free to DM me if you have any questions. Special thanks to 58 Degrees & Holding Co. for sponsoring this event! The event is free, RSVP for tickets to enter.